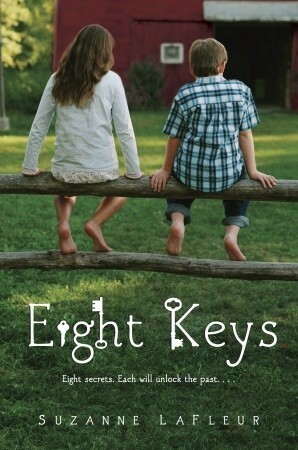 In June, we discussed the book Eight Keys by Suzanne Lafleur. Olivia, Riley, Kelsey, Rileigh, Cecilia, Natalie, Abigail, Molly and Evan were present. When Elise’s father found out that he was dying, he wrote letters to Elise for her future birthdays up to her twelfth. We each wrote a letter to someone for them to read five years from now. The letters were entertaining and eye-opening. Why might Amanda be targeting Elise and others? -I think she was bullied herself and she wanted other people to feel what she felt. -Amanda's older brother bullied her. -Elise and Franklin were easy targets because they do stuff that other kids might think are weird. Bullying Elise and Franklin was easy because they didn't defend themselves. What does Elise do in response? What could she have done differently? What might have happened if she had acted differently and why did she choose to react as she did instead? Remember that she did try telling a teacher about the problem. -I think that Elise should have told a teacher. Again. -I would have told my mom before Elise did with her aunt. Elise told her aunt a long time into the bullying. It would have been a little better. -If I tell my mom that something is bothering me, she'll step in for me. The teacher needs to step it up a notch. -If I were in Elise's place, I would have told Aunt Bessie the first time it happened. Elise starts casually insulting Franklin as a school year goes on. Is this bullying? How does it differ from how Amanda treats Elise? -Elise is playing around with Franklin. It's different how Amanda treats Elise. She squashes her lunch, dignity, her courage, her hope. -I think Elise is just teasing Franklin. Franklin knows that they're still friends and she's just kidding around. -Franklin didn't know that Elise was teasing. -I think that the author dragged the subject of Franklin to much into the book. -I object. I liked it! I think it was good to know what Franklin was feeling. In July, we will be meeting to discuss the book The Spindlers by Lauren Oliver. "Accompanied by an eccentric, human-sized rat, Liza embarks on a perilous quest through an underground realm to save her brother Patrick, whose soul has been stolen by the evilest of creatures--the spider-like spindlers."-summary. Books will be available behind the Circulation Desk and snacks are always provided at Book Club meetings! I hope to see you in July!